Used as a drawing poultice on the skin, it can help draw out toxins from boils, abscesses, etc. Mix with water and a little stevia and it's downright delicious! Size: 8 ounce powder. At average suggested dose, this formula should last around 2 weeks, possibly longer. 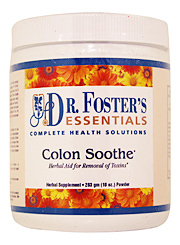 This formula can slow down intestinal activity in larger doses. Don't take if constipated. Should not be taken in the same dose as any medication. Allow at least 1 hour before taking medications afterwards. Allow at least 1 hour after taking medications before taking this formula. I have been using this product for more than a decade. I don't use it daily, but I use it several times a year to do a cleanse/detox. I think you could use it daily without harm though. It takes a little getting used to... after all you are drinking what seems like dirt.. :) But I just put it in a small juice glass with warm water, stir until it begins to thicken, and chug it. I always feel better after using it a few days. I can tell it is detoxing my system. 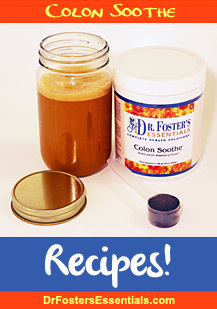 It does not give you loose stool, or cramping like psyllium or other detox products do. It does (at least for me) make your stool more uniform and allows for much more complete elimination of solid waste.